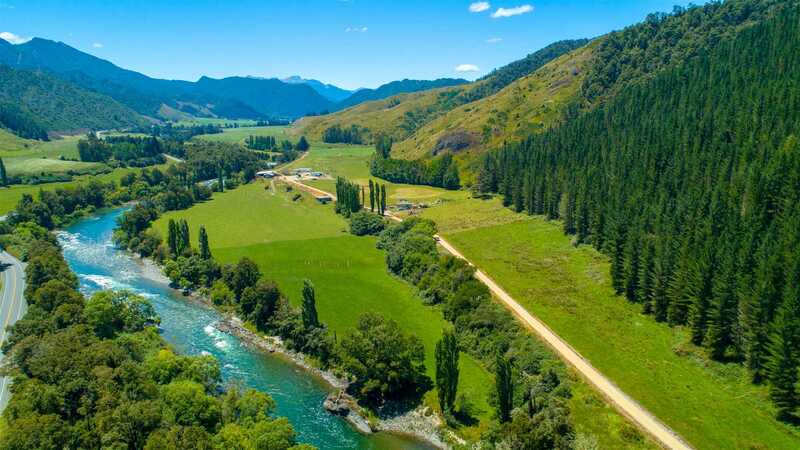 I often hear the opportunities for up and coming farmers in New Zealand have long gone, but with this great property what you put in is what you will get out! This recently developed Dairy Farm is still putting down its roots, offering a huge opportunity for an up and coming farmer with some vision. The property currently has a 75 Ha approx. milking platform, of which there is a resource consent for 70 Ha to be irrigated from a generous 21,000 cubic metres a week water right from the Buller River, giving the Purchasers cropping options and security in a dry summer. Around 40 Ha of rougher grazing and undeveloped land is another huge tick with this property if you are someone looking at making improvements and increasing your capital worth! Currently the farm is milking 230 cows twice a day and producing around 50,000 milk solids a year, but this is increasing every year as the farm is still in very early days, this is forecast to increase substantially. The dairy shed is a 28 Bale Rotary which is surprisingly spacious, and the farm also offers various other implement and feed sheds. The dwelling on the property is a comfortable 2-bedroom character cottage that has had recent renovations undertaken and these will be continuing over the next few months. Don't miss this real opportunity - Contact Us Now!